This is the 1st and 2nd breaks of part B from the Unit of Measure album. I am currently working on the intro and will post it as soon as I'm finished. Tony plays part A pretty faithfully to the old tabbed version which can be found in the book simply called "Tony Rice Guitar" which contains tablature from three albums, so I probably won't tab that part. 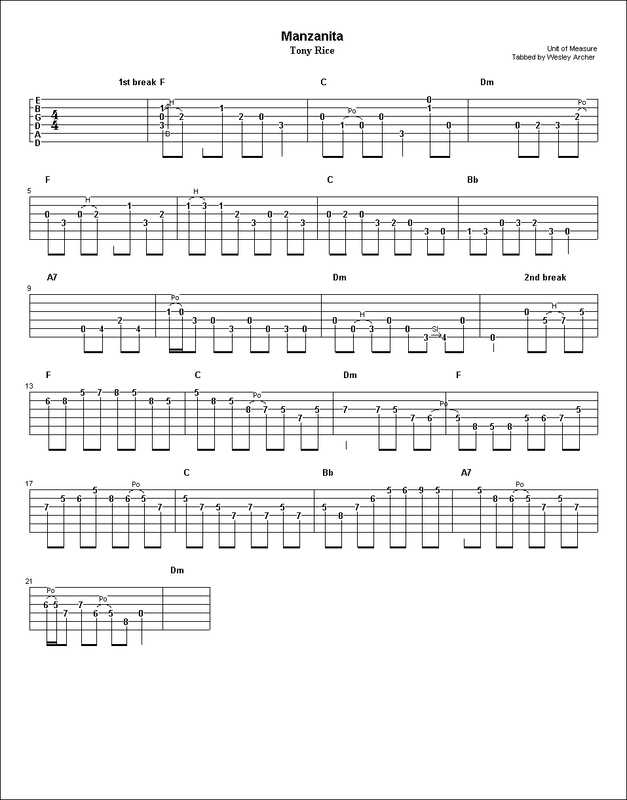 You can view a tabbed version of Part A HERE which also contains one phrase of Part B, this tab is representative of Tony's playing on the "Manzanita" album. Yes, I know this tune can be confusing... Both breaks are together in one tab.